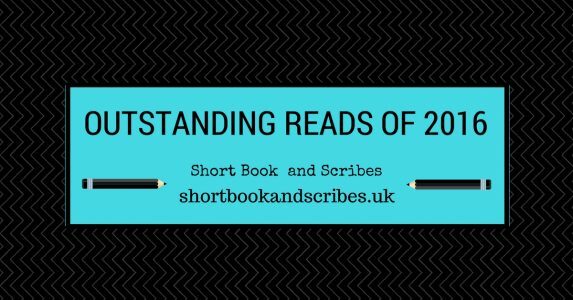 This was supposed to be a top ten reads of the year post but it’s turned into a slightly longer list of books that stand out for me this year. They’re not in any particular order. I couldn’t leave any of them out and I loved them all in different ways and for different reasons. First up, Daisy in Chains by Sharon Bolton. Clever and well-plotted with probably the most charismatic man in any book I have read, Hamish Wolfe. The Silence Between Breaths by Cath Staincliffe was a topical, emotional read and yet it also made me smile. Very much a ‘what if’ story. I reviewed it here. The Beautiful Dead by Belinda Bauer was just full of clever writing and quirky characters, at times deliciously creepy and twisted. I reviewed it here. Next up is the beautifully written book by Louise Beech, The Mountain in My Shoe. This is an understated yet complex story and I loved it. I reviewed it here. Lie With Me by Sabine Durrant is a fabulous psychological thriller about a man who tells just a few too many lies. Next up is The Comfort of Others by Kay Langdale, an author who I think is very much overlooked. This is a wonderful and moving story about an elderly lady and a young boy and the unique relationship that they strike up. The Farm at the Edge of the World by Sarah Vaughan is a dual time frame story and essentially a love story. I thought the depth of feeling to the writing was exquisite. The Keeper of Lost Things by Ruth Hogan has a mystery at its heart and features ordinary people in unusual situations. It’s charming and full of quirky characters. I reviewed it here. The Missing by C L Taylor is my favourite of her three books. I was absolutely gripped by this story of a woman looking for her missing son. Next up, another psychological thriller. Like Clare Mackintosh’s first book, I Let You Go, I See You is a tense story with unexpected twists and turns. What I liked about this one was that it was a perfectly plausible storyline and that made it quite scary! I reviewed it here. The Curious Charms of Arthur Pepper by Phaedra Patrick is a lovely story about a man who goes on a journey of discovery about his late wife. I thought it was quite similar to The Unlikely Pilgrimage of Harold Fry. The Trysting Tree by Linda Gillard is by another author who, in my opinion, should be better known. This is a compelling story of the troubled relationship between a mother and her daughter, chronic pain and a family mystery. The Museum of You by Carys Bray has the most wonderful narrator in 12 year old Clover Quinn. It’s a warm and tender story of her desire to know more about her dead mother. The Last Pearl Fisher of Scotland by Julia Stuart is charming, original and full of gentle humour. As you might imagine, it’s about the last pearl fisher of Scotland and it’s fabulously quirky. I reviewed it here. Falling by Julie Cohen was a book about three generations of women that slowly crept up on me and made me shed a tear in a few places which not many books can do. The Phantom Tree by Nicola Cornick is a wonderful dual time frame story taking us from the present day back to the 1500s. Fact and fiction are weaved together brilliantly to make this an engrossing story. I reviewed it here. So there you go. My favourite reads of the year, not very well narrowed down. Have you read any of these and did you enjoy them as much as I did? I also had The Farm at the Edge of the World and The Mountain in My Shoe on my top reads. I’ve only read a few of your other choices (I See You and Arthur Pepper) and both were 5* reads for me. It was so hard to leave off the ones I did but I thought I had better try and make my list a bit smaller. I also wanted to choose some that are not quite as well known but that I think should be! A great list. Apart from 3 of them, I’ve read some and have all the others on my TBR. Thanks, Karen. Hope you enjoy the others when you read them. I’ve got 4 on my list and most of the others yet to read. A couple I need to investigate though – The Comfort of Others and The Phantom Tree. Hoping to get to my list and sin sheet today. I think you would like The Comfort of Others. I don’t know if The Phantom Tree is your thing or not?? Looking forward to seeing your lists. I have just started reading The Curious Charms of Arthur Pepper and I’m loving it. Hi Maggie 🙂 Glad you are enjoying Arthur. It really is charming and such a lovely idea for a story.